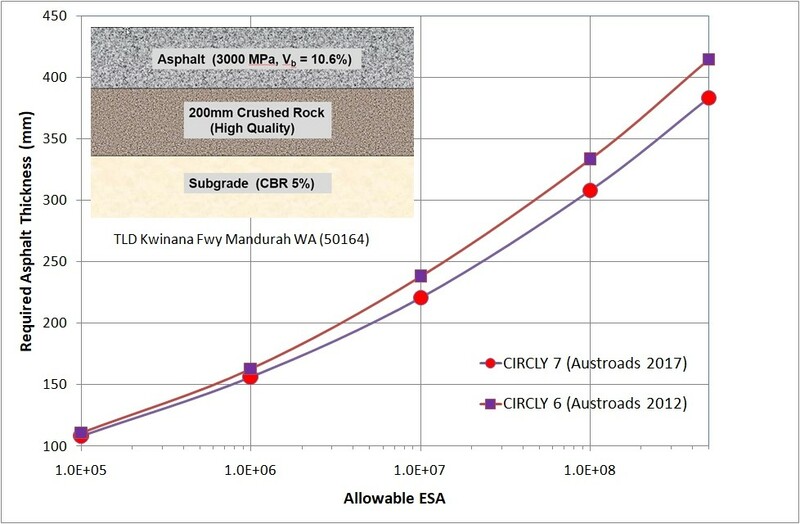 CIRCLY 7.0 is a powerful, user-friendly, Windows-based package for mechanistic pavement design and analysis. This Australian designed system has been in regular use World-wide for more than two decades proving its worth in thousands of design applications. Since 1987 it has been part of the Austroads Pavement Design Guide, the standard for road design in Australia and New Zealand. 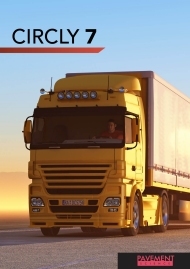 CIRCLY 7.0 uses a rigorous flexible pavement design approach. It uses state-of-the-art pavement material properties and performance models. It calculates the cumulative damage induced by the traffic spectrum. Pavement and loading databases save re-keying information. You can define your own material properties and loadings. CIRCLY 7.0 generates graphs that show the damage factor across the pavement. CIRCLY 7.0 can also generate graphs of any component of displacement, strain or stress in two-dimensional or three-dimensional form. Slash Days From Your Design Jobs! Automatic Thickness Design capability – determine the optimum thickness of a given layer in a fraction of a second on any PC. Simultaneous calculation of the damage factor for all layers with a performance model. A Parametric Analysis feature can loop through a range of thicknesses for one or two layers while simultaneously designing the thickness of another layer. This feature will optimise up to three layers. The Cost Analysis feature lets you fine-tune layer thicknesses to lower construction and maintenance costs. CIRCLY has been in regular use World-wide for more than two decades proving its worth in thousands of design applications. Microsoft® Mouse or compatible mouse. Microsoft® Windows Vista, Windows 7, Windows 8.x or Windows 10. A special design system, APSDS (Airport Pavement Structural Design System) is for airport pavements. It is based on the CIRCLY system and has been enhanced for design of airport pavements. HIPAVE (Heavy Industrial PAVEment design) is software for design of flexible pavements in facilities such as intermodal container terminals and yards. HIPAVE models the extremely heavy loads from vehicles such as mast lifts, reachstackers, straddle carriers etc. Click here for a comparison of the features of our three pavement design packages. We recently published an article that explains why road design methods are not appropriate for the heavy loadings at airports and container terminals. Road design methods can give grossly under-designed pavements. For further details see Layered Elastic Pavement Design- Recent Developments. Wardle, L.J. and Rodway, B. (1998) .